My beauty routine is changing every time. I discover new products, test them, try them out, throw them far away in my drawer and never use them again or repurchase them. Today I will be showing you my hits of the past months. I use all these products very often and I'm glad I bought them! 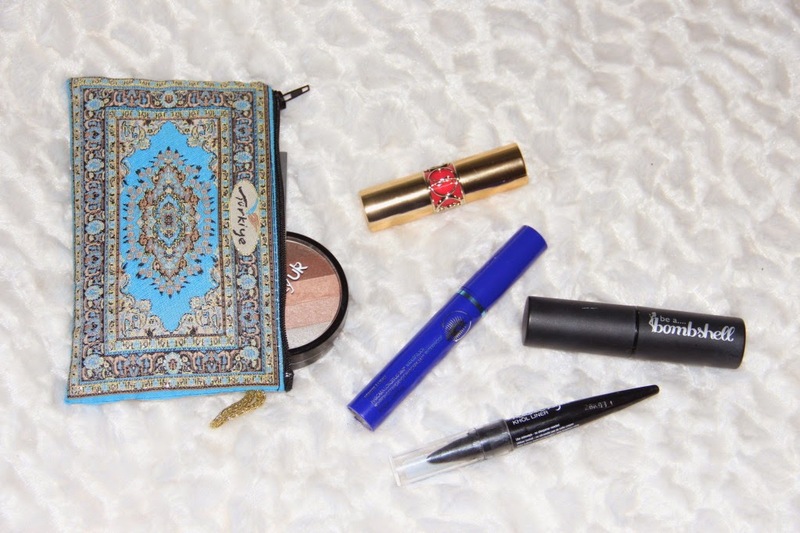 The first favorite is my Maybelline New York kohl liner because it lasts all day and gives the perfect black pigment. Click read more to for close-up photos and discover why I love these beauties! 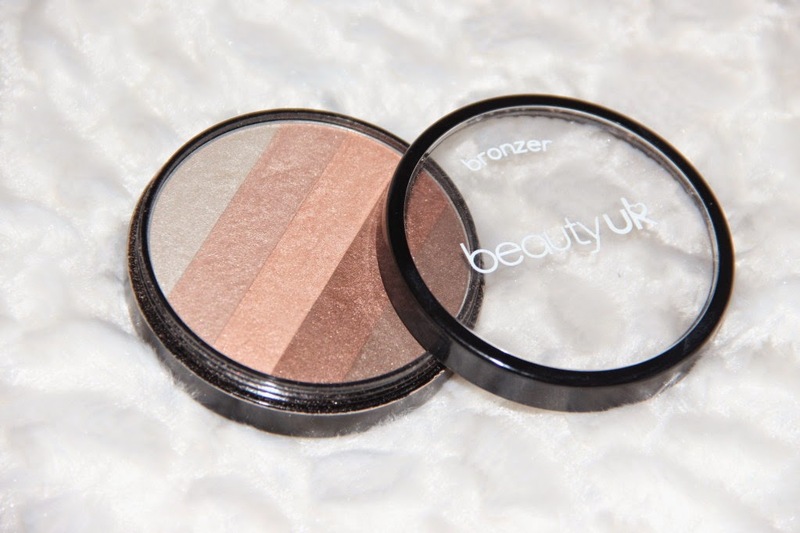 I'm really pale and this bronzer gives me the exact right amount of bronzer! My cheeks love the glow and my face looks less pale without recognizing traces of bronzer. 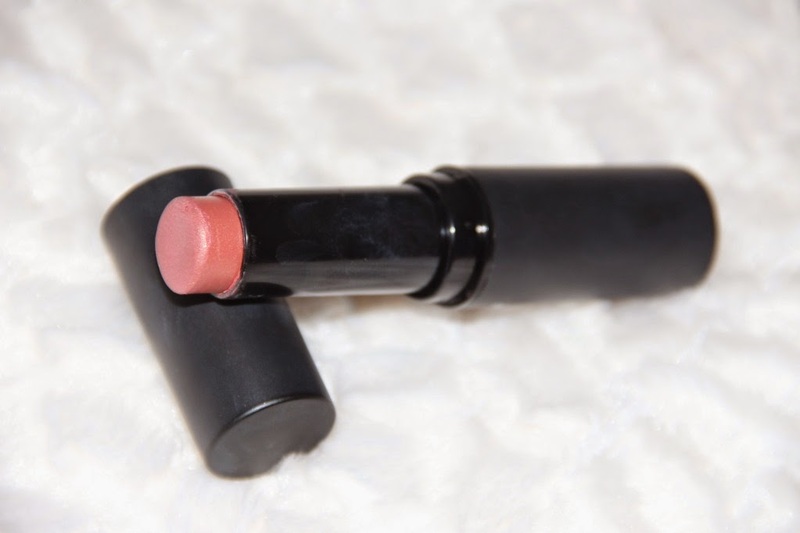 This like a bombshell stick is so amazing! I use it for blush as well as on my lips. On my cheeks it gives a nice tint, but not too much and the peach color looks really good with my skin tone. I also really love to match my cheeks with my lips. It gives your look just a little bit extra but it's so worth it! 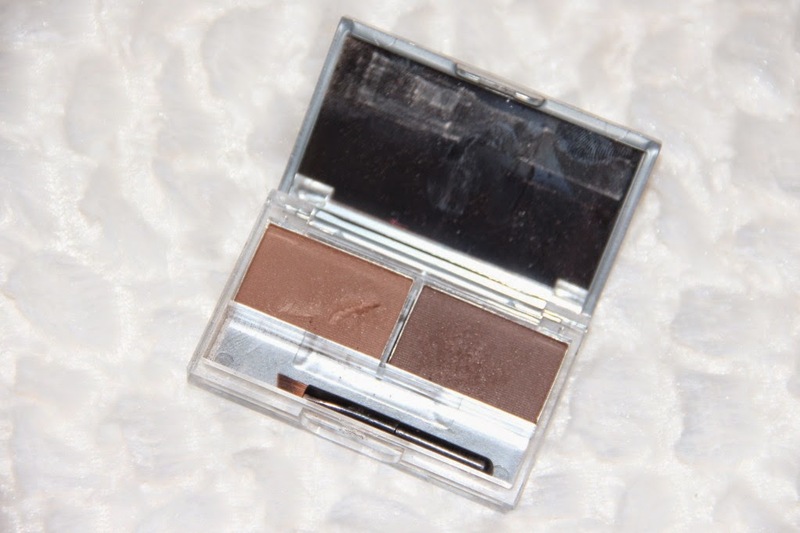 This is an eyebrow duo from So Susan. It lasts all day. The online minus is when you are brushing through your eyebrows, the powder is easily spread around your eyebrows and you should clean it up. My all time favorite eyebrow product is the Anastasia brow wiz, but unfortunately it's quit expensive. This is a product and I don't know why I bought it. I think it just went with another product and I was like Okay. I never expected it to work out so well as it did. My lashes get to look really long and you can layer it to decide how much you want on your lashes. It's literally perfect and waterproof! If you are an expert in lipsticks, this probably is no surprise to you. 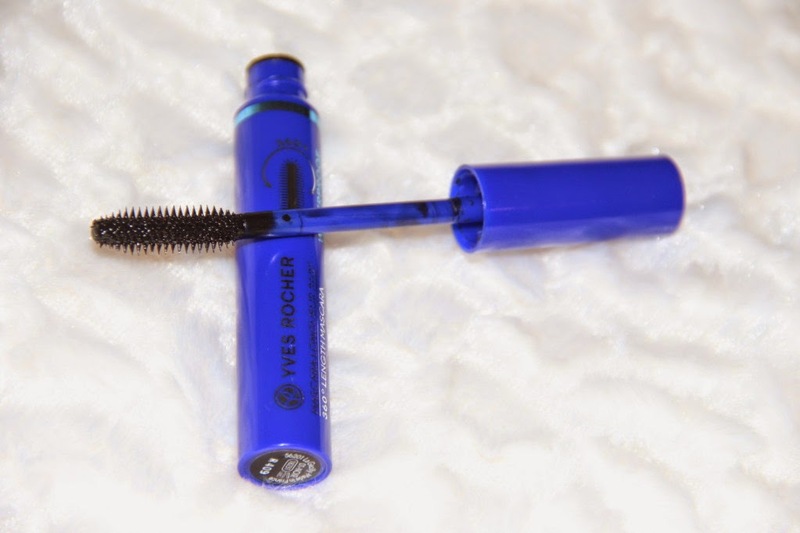 This literally is my first high-end beauty product, but I totally adore it! The coral color is not too pigment, but it's got the right amount for my lips and stays on your lips for a very long time. I've never had a lipstick which stayed on my lips this long before. The color also makes my eyes look brighter (my eyes are blue and the orange make them stand out). Yes, I can tell you this was worth my money! Did you ever try any of these products? What are your current favorites? Let me know in the comments! Zien eruit als fijne items! Die bronzer is mooi! I want to try that YSL lipstick! it was a pleasure to read this, though I must admit I'm not at all familiar with these products. All of these products look wonderful! 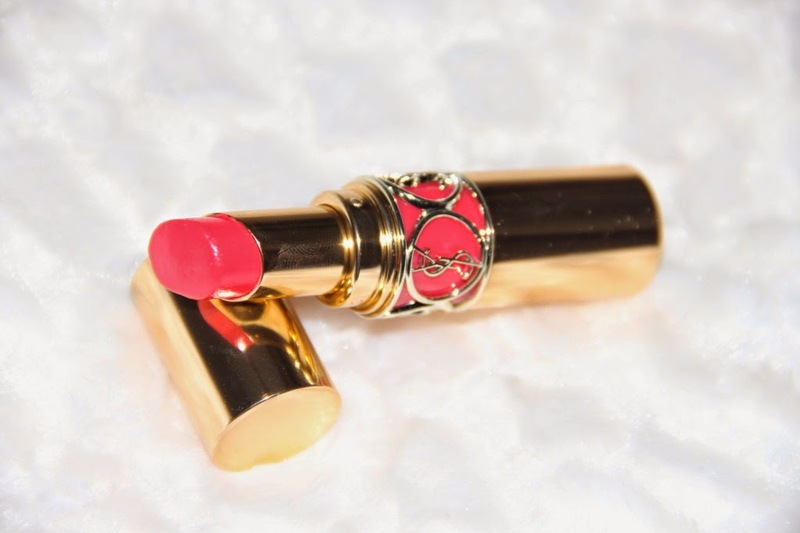 Love the YSL lipstick color! !